Founded in 1779, Nardini is the oldest working distillery in Italy. It is safe to say that they pretty much invented modern grappa. The distillery is located in the aptly named town of Bassano del Grappa in the Veneto region, although that name has no relation to the spirit. The most common products of Nardini are the clear Aquavite with white label and the cask aged Riserva with yellow label, bottled at 50% ABV. I have been a fan of Nardini for many years, but it was only recently when I found out that they also produce a 60% version of the Riserva. Nose: Sweet grapes, tinned pineapple, hints of vanilla, a light alcohol sting. Palate: Sweet sultanas, pineapple, hints of banana, custard, hints of white pepper. Finish: Long, fruity and rather sweet. 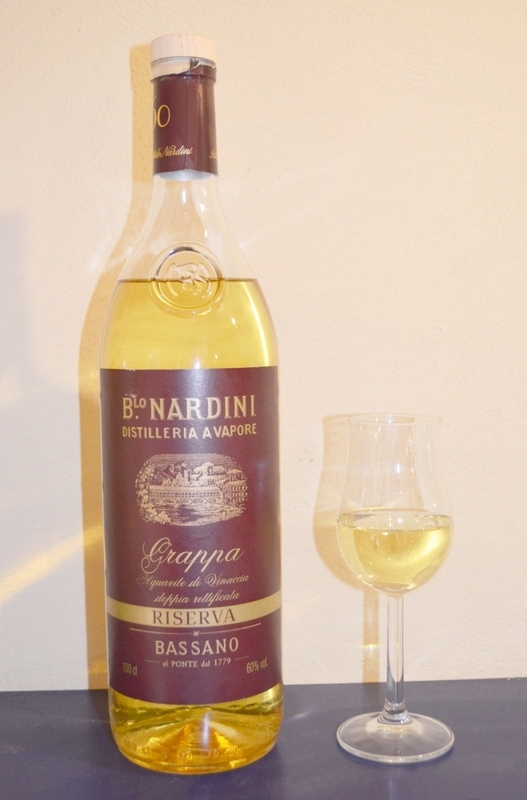 Overall: This is quite an unusual grappa in a way that the palate is very much dominated by sweet fruit. The typical mustiness of grappa is entirely missing and despite the high bottling strength there are no rough edges whatsovever. The overall character is a bit shy, though, even with added water.